I know, I know.........if you are a scrapper, then I'm sure you already know how fabulous Ali is. I've been reading Ali's blog for a couple of years now. I have stayed away from featuring such an Icon in the industry but have come to realize that lots of Today's Creative Blog readers are not a part of the scrapbooking world and they really really should experience Ali. 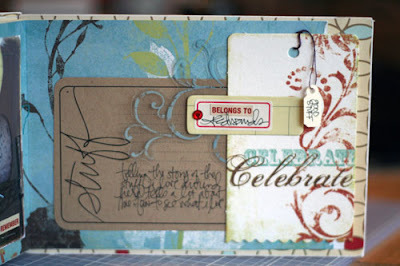 I love the simplicity and balance Ali has brought to the scrapbook world. She really brought us away from the cutesy splatter look into a world of design. 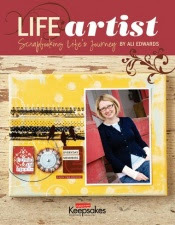 She has taken us away from calling ourselves "scrapbookers" to encouraging us to call ourselves a "Life Artist." Love that. Her work is so full of LIFE.........how she lives it........how she strives to be doing the right thing for her family, it's real. Her work is another example of originality........she is definitely not following anyone else's trends. She's such a brilliant artist. 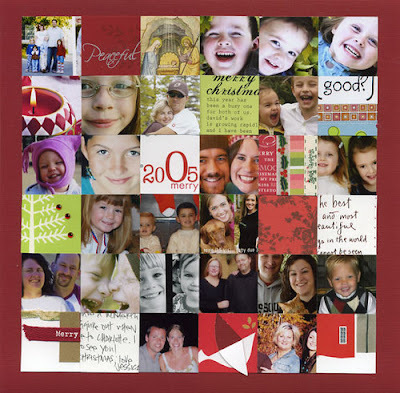 Love this idea she did..........a collage of Christmas cards. I usually end up throwing all mine away........which doesn't feel very nice. I decided to save mine last year and scraplift this idea. Have I done it yet? NOPE! But I have the basket of cards ready when I am. She is the Creative Editor for CK magazine. Here is her latest book below. Such a dream job. Her job takes her all over the world, but her heart is never far from her darling little boy Simon who was diagnosed with Autism. 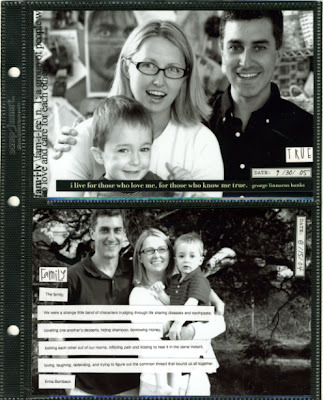 Her and her husband (who is very active in politics as a State Rep) are so brave to share their family journey with so many people. It's nothing short of inspirational. 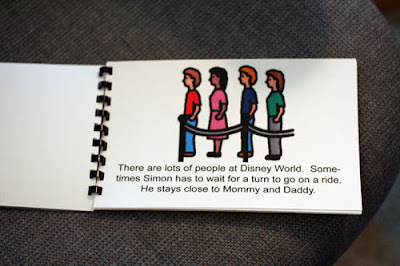 They work so hard to help Simon navigate this world that can be so confusing. 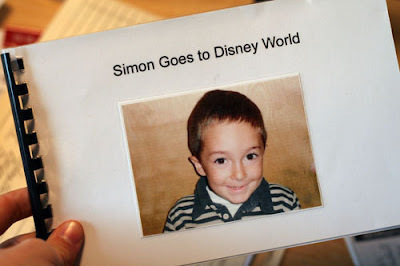 I love this book she created to help him have a successful trip to Disney World. Now this is a project I can do. 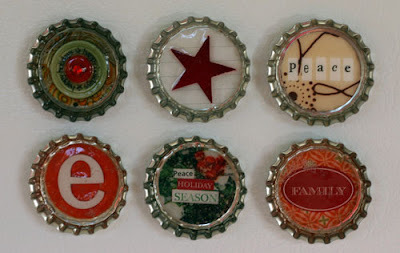 What a great idea for the holidays. I can see making a few teacher gifts in my future. 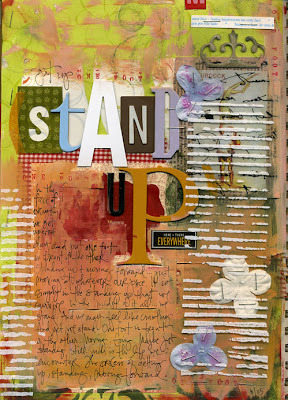 And you gotta love a girl who can stand up and show you her creative mess! I mean come on.........who really has a clean creative space ALL THE TIME? How creative would that be? Go visit Ali, and take your time exploring her site. She's got lots of nooks and crannies to find. I think you'll fall in love with who she is.........and you'll enjoy her work too. Thanks for sharing Ali's site with us! I just got off her site, she's in my reader and I came to read yours and you were showcasing her. Yep I love her blog. OKAY- now you have done it again!! We are so inspired and excited at all this yumminess - we have spilled our diet cokes! Well, we will just have to get another one and sit here mesmerized at her art (like that Christmas card collage- and so much more!!) Thanks for another great one! Wow! Love all the creativeness! I am going to check out her blog! 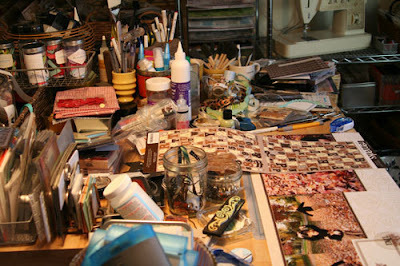 I love that someone else's desk is as messy as mine! It just shows all the hard work I say! 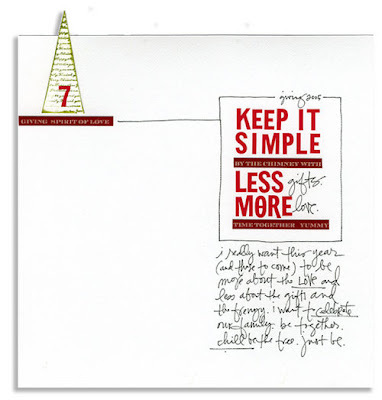 What inspiring ideas! Thank you for sharing this wonderful tribute to this creative artist's work. 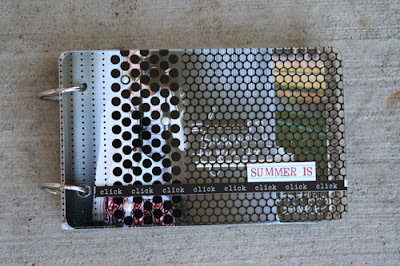 I visit her blog from time to time! I love her creation! 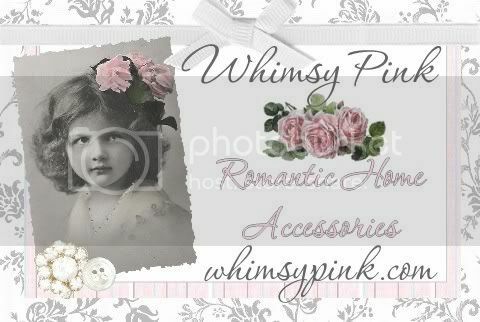 I have never been to her blog, but how wonderful it is! 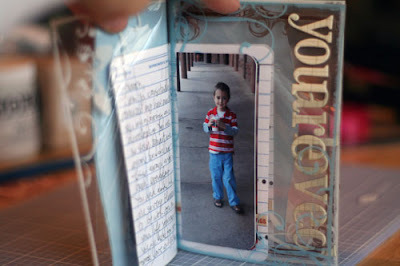 Even though I used to be a scrapbook consultant I had no idea of this fabulousness. Her designs are so refreshing - Love her! AWESOME!! !